Excellent book, spoilt by its ending. Adam Lang has been Britain’s longest serving—and most controversial—prime minister of the last half century. As pressure mounts for Lang to complete this memoirs, he hires a professional ghostwriter to finish the book. 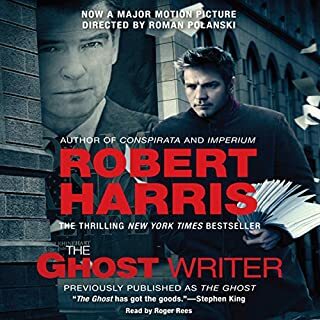 As he sets to work, the ghostwriter discovers many more secrets than Lang intends to reveal, secrets with the power to alter world politics - secrets with the power to kill. Dr. Alex Hoffmann’s name is carefully guarded from the general public, but within the secretive inner circles of the ultrarich he is a legend. He has developed a revolutionary form of artificial intelligence that predicts movements in the financial markets with uncanny accuracy. His hedge fund, based in Geneva, makes billions. But one morning before dawn, a sinister intruder breaches the elaborate security of his lakeside mansion, and so begins a waking nightmare of paranoia and violence. Paris in 1895: Alfred Dreyfus, a young Jewish officer, has just been convicted of treason, sentenced to life imprisonment at Devil's Island, and stripped of his rank in front of a baying crowd of 20,000. Among the witnesses to his humiliation is Georges Picquart, the ambitious, intellectual, recently promoted head of the counterespionage agency that Dreyfus had passed secrets to the Germans. At first, Picquart firmly believes in Dreyfus' guilt. But it is not long after Dreyfus is delivered to his desolate prison that Picquart stumbles on information that leads him to suspect that there is still a spy at large in the French military. As evidence of the most malignant deceit mounts and spirals inexorably toward the uppermost levels of government, Picquart is compelled to question not only the case against Dreyfus but also his most deeply held beliefs about his country, and about himself. Bringing to life the scandal that mesmerized the world at the turn of the 20th century, Robert Harris tells a tale of uncanny timeliness - a witch hunt, secret tribunals, out-of-control intelligence agencies, the fate of a whistle-blower - richly dramatized with the singular storytelling mastery that has marked all of his internationally best-selling novels. For me, the best authors of historical fiction teach history without their readers knowing it. How? By making the facts come alive - by humanizing history. An engrossed reader comes away with a broader perspective of the world's events AND a good story. An Officer and a Spy delivers on all accounts. And I must say I'm somewhat perplexed by a few of the negative reviews - I thought the book was excellent. It is the true story of Alfred Dreyfus, a French artillery man of German and Jewish descent, who is falsely accused and found guilty of treason - all of which remains today an unfortunate example of political injustice, aided largely by the court of public opinion. The story is suspenseful, engaging, emotional, and ultimately redemptive. A great listen for any audience - highly recommended. I really like spy novels which take place in well researched historical settings. (I'm a little lazy about reading straight history). Authors like Alan Furst, David Downing, Bernard Cornwell, or Phillip Kerr. If you like any of these authors, I believe you'll be very satisfied with this book. This novel is one of the best I've ever read, and it's true! Before I was a quarter of the way through I was looking up the Dreyfus Affair, putting faces to the names in the book. Harris's research appears to be in depth and accurate. He freely admits to using the tools of the novelist to flesh out the characters, but he doesn't play around with facts. Very Cool! His characters are alive and engrossing and he makes a confusing, complicated plot lucid. A story about a hero. A true hero. Well worth reading. What did you love best about An Officer and a Spy? The story was gripping. Even though I knew the outcome Harris did a great job of building and sustaining that tension throughout. During the courtroom scenes, I found myself getting upset at what was going on. Rintoul's narration is top-notch. Next to Will Patton's narration of "Tree of Life," this is my favorite audiobook. What made the experience of listening to An Officer and a Spy the most enjoyable? Being of French heritage, I knew of the Dreyfus Affair. But the author brings alive many parts of the Affair that were new to me. 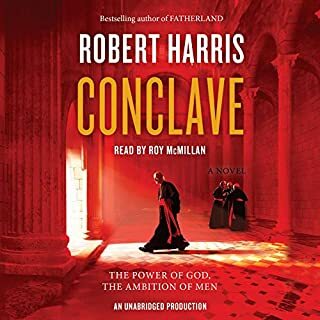 "Alive" is a key feature of Robert Harris' compelling style as he creates dialogues between key characters in this messy affair. This tale of incredible judicial corruption and personal malevolence in the highest ranks of the French Military and the Government, and the grievous harm these officials brought upon innocent people, is a lesson to be aware of today when there is still much duplicity and incompetence in the application of "justice" to ordinary citizens. The book is an exciting dramatization of the years-long struggle between crime and honor in high places. 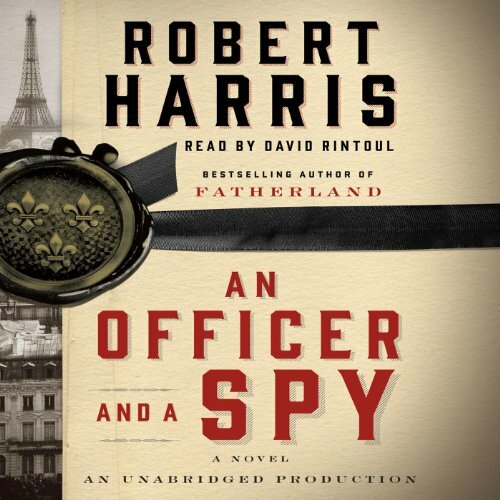 What other book might you compare An Officer and a Spy to and why? I have not listened to Rintoul before. I thought he was an excellent narrator, creating individual personalities for the various characters involved in the Dreyfus plot. Who was the most memorable character of An Officer and a Spy and why? Though the Dreyfus Affair took place between 1896 and 1906, the lessons to be learned from it are entirely relevant to the relationship between governments and citizens in 2014. Read this book for the pleasure of a gripping tale of suspense but also to arm yourself with a healthy dose of skepticism as you listen to today's protestations from officials trying to extricate themselves from a web of lies. I had known the basic story of the Dreyfus affair for a long time. Harris has the wonderful skill of being able to tell this very complex and long story very effectively by following the path of one of the key players. His characters are real and one sees them quite intimately - in particular the hero of the story, Colonel Picquart. A well writen, and excellently narrated historical book! One of the best I have read and a good example of how we never learn from or change the patterns and powers of politicians or the press. Only for Francophiles and military historians. The story of Emil Dreyfuss is fairly well known to people like the above. They will no doubt love this book. As for the rest of us, not so much. It's pretty slow going. First, the narrator: David Rintoul's French accent is so good that it's annoying. He over pronounces every French word, street name, personal name and so forth that it actually grates on the nerves. Modern French is a beautiful language, spoken with melodic phrasing, lots of elisions and a casual manner which is hard to master. Mr. Rintoul has done the opposite. He pronounces each word as if it were a royal address in front of an extremely learned and stuffy body. He could really lighten up. The book suffers from his formality and the absence of nuance in his speech. Less would definitely have been more here. The story of Dreyfuss's conviction for treason, clearly a misstep by the French government of the late 1800's, is sickeningly riddled with ferocious anti-Semitism. The coverup by the military and politicians is as plodding as an elephant. The hero of the story, Major George Picard, is a very easy guy to like, a guy who believes in the truth and is genuinely horrified to see the government turn against him, convicting him in a kangaroo court. Corruption, petty and large, is rampant. Villains are juicy and easy to hate. 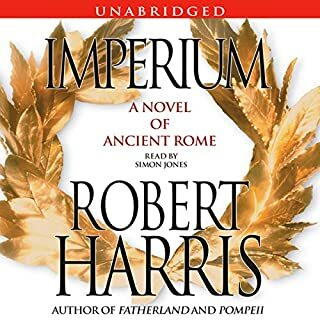 For those of you who haven't read Robert Harris before, you may be delighted at how deep his research is, how authoritative his voice is, and how you come to fully subscribe to his version of reality. These things just must have happened in this way, because Mr. Harris says so in such an articulate fashion. And, in case there was any doubt about the collusion of the French with the Nazis in WWII, that doubt should be put to rest here. Even though there are over 140n years between the Dreyfuss affair and WWII, the French come off as slimy collaborators. The camps may have been in Austtria, Poland and Germany, but the Jews were rounded up in small towns all over France, stuffed into rail cars and sent off with the utmost cruelty to their unspeakable deaths. It is hard to be romantic about France, a country I have visited many times, and a country which is justifiably proud of its culture, art, music, food, wine, museums, and so forth. To see up close and personal the evils that underlie all of that beauty can be a very tough thing to face. Mr. Harris makes us face it unflinchingly. 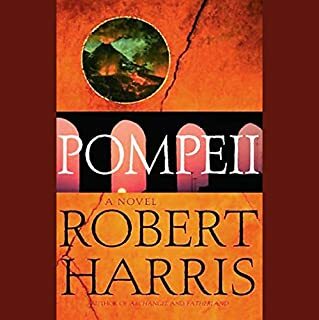 The book is a tough read, but Mr. Harris continues to put out authoritative, brilliantly researched depictions of some of the most important points in human history. Pompeii is worth listening to. I found this one a pretty rough go. If it wasn't for the narration, I might have returned this book. It starts of slow and stays pretty slow. I thought there would be more "period" aspect to it, but not. With the title you would expect slightly more excitement, but it's pretty dull. It revolves around the Dreyfus Affair and the premise is good, but the pace is makes it kind of boring. By the end it gets better, but you will need some patience to get through it. The narration, however, makes up for it. Although I thought there would be more of a french accent to voices since it is set in France. You will have to like historical novels to enjoy this. As a "spy thriller" it will fall short. 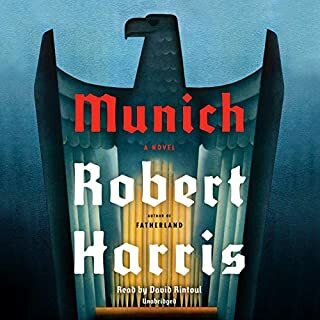 I am a big fan of Robert Harris and this book did not let me down. 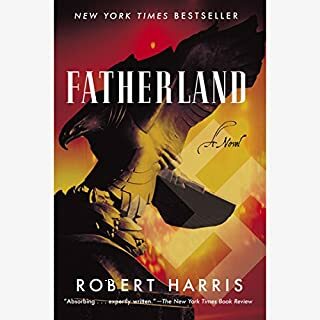 Harris is a master of historical fiction. This historical fiction tells the story of French officer Georges Picquart (1854-1914) from 1896 to 1906. Picquart became head of the French Army’s Intelligence section after the conviction of Alfred Dreyfus (1859-1935) and his confinement on Devil’s Island. Picquart uncovers a spy and proof of Dreyfus’s innocents. Picquart has to fight bureaucracy, societal opposition as well as anti-Semitism in his attempt to free Dreyfus. Harris brings this period of history to life. I could hardly stop reading the book. I have read many books about the Dreyfus Affair, but this helps to bring the period after conviction to life. I enjoyed the descriptions of the state of spy craft of the period. I enjoyed the dramatic court scene that took place near the end of the book. The book is just over sixteen hours. David Pintour does a good job narrating the book. Pintour is a Scottish actor.